I told ya! 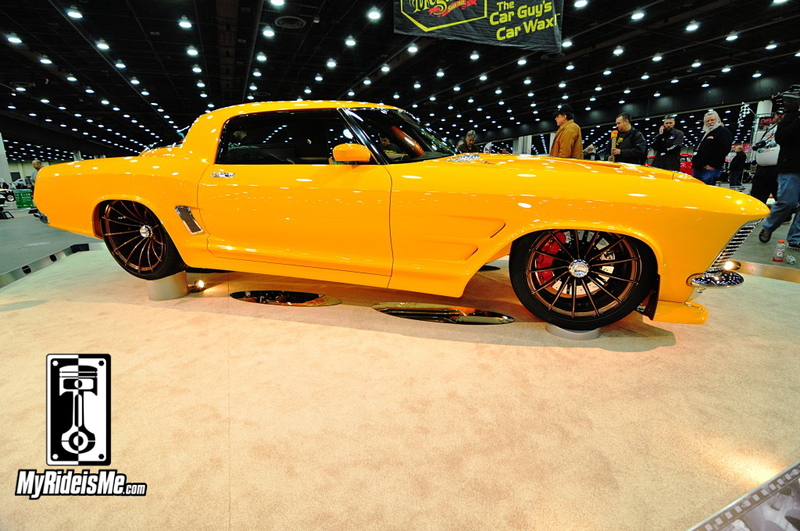 JF Customs run by JF Launier out of Osoyoos, British Columbia, Canada came to Detroit, not to compete, but to DOMINATE! Standing around the car, I frequently heard: What is that? 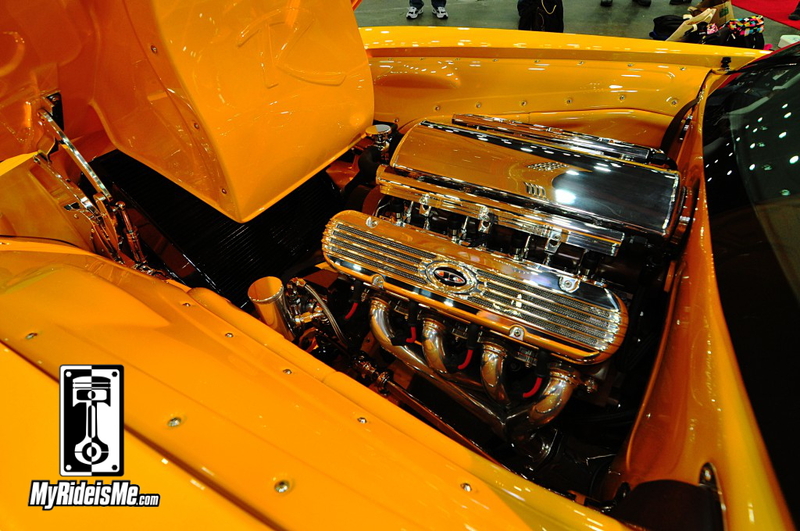 It’s a mid engine car…. and often: WOW. 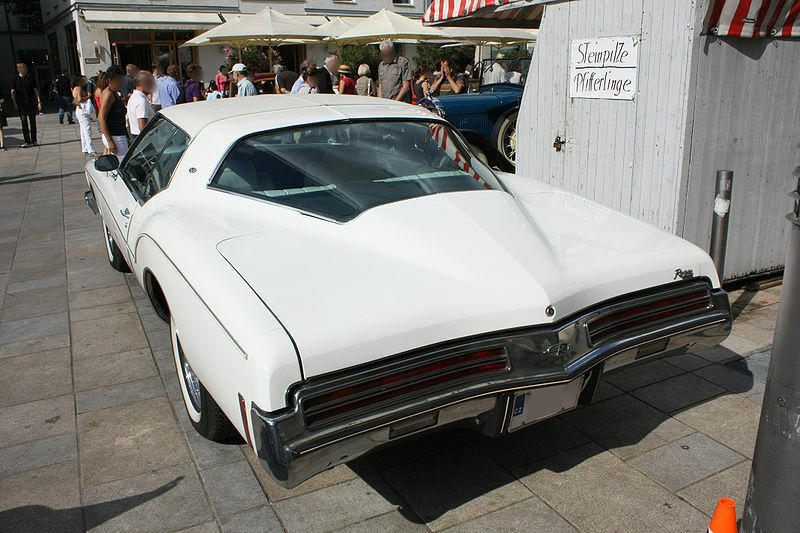 Compared to the other cars competing, all blow-out successes for the builders and owners, did not gather the crowd or the buzz the Buick had. 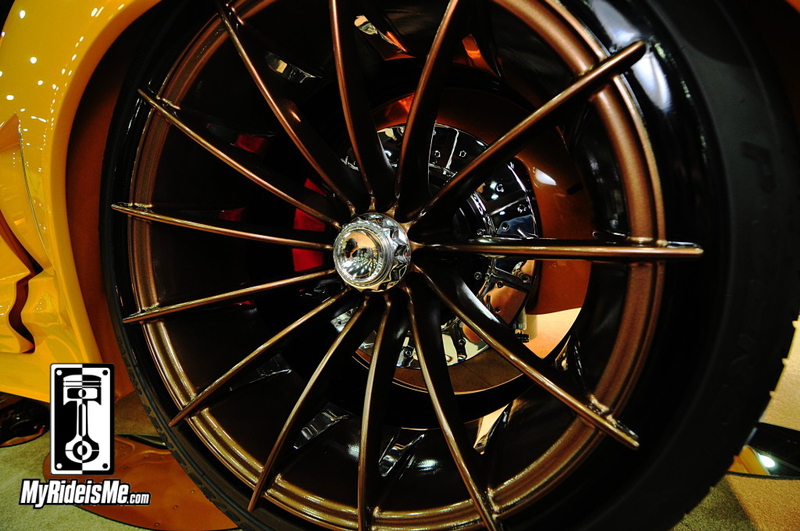 This car embodies all that is custom like a new chapter in custom cars. The only thing more rad than that? JF plans to Autocross the car ASAP. The car’s built to drive! 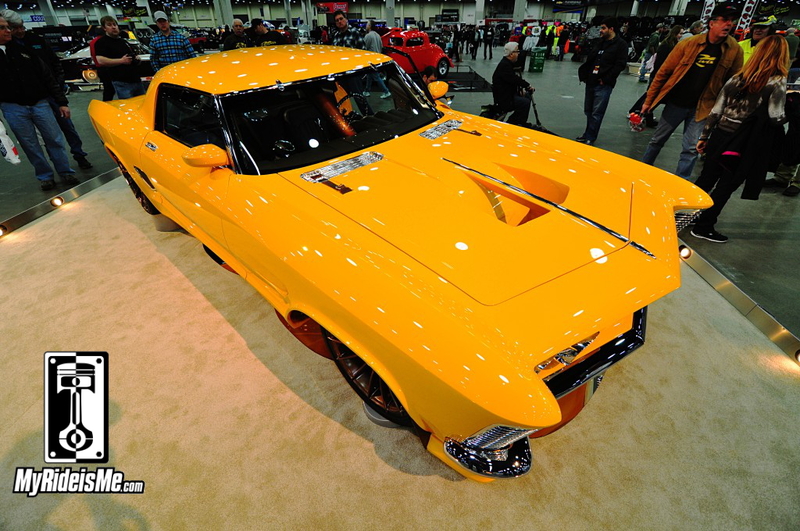 All the hating, “Oh, that’ll never see the road” folks out there… I’m waiting to say, “I told you so” for when JF hit’s 200 mph in a Ridler Award winner!! If you skipped right to this story, you might want to review the Ridler Award rules, or, there’s a summary at the end of this story. 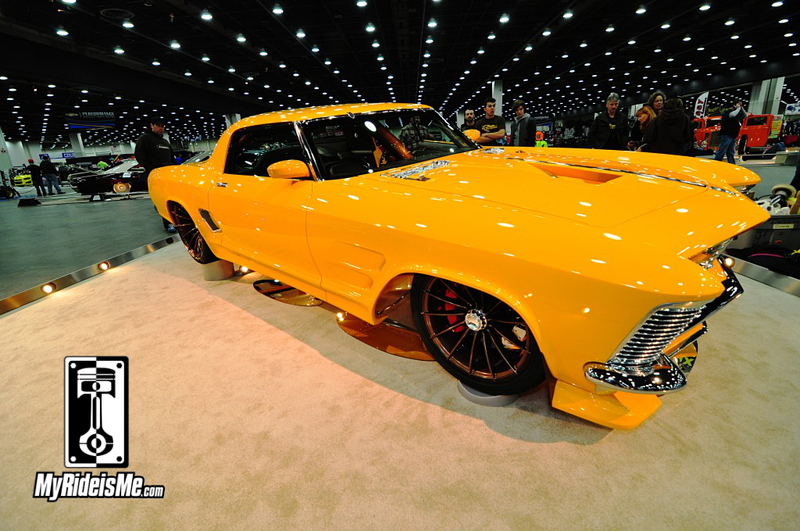 Other than that, we have a few more 2014 Detroit Autorama stories and picture galleries here. 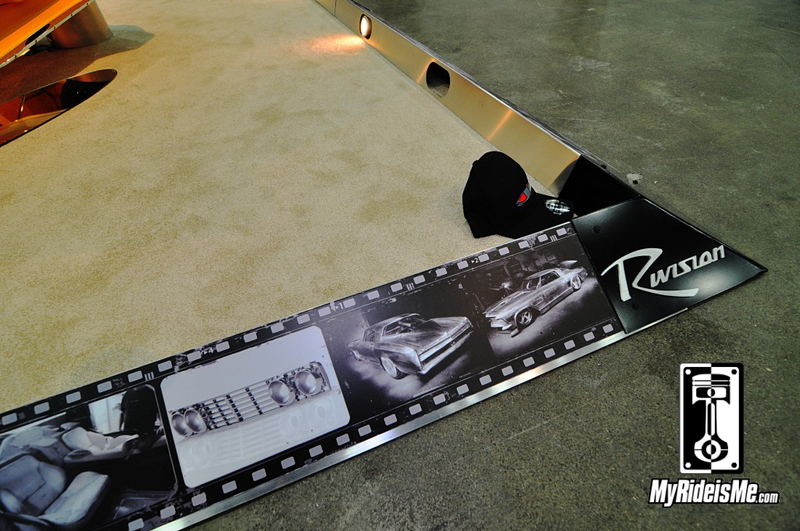 If the Ridler cars aren’t your style… check out the basement! Here it is… Perched up at a slight angle and with glowing yellow paint and spot lights all around… it wasn’t the easiest to photograph, but the details stood out and the clear winner was selected. See what’s peaking through there? The copper colored tube sends charged air back up through the driver’s compartment (with what must be a mind blowing whoosh!). The packaging is nothing short of spectacular as the once 4-seater Buick now has room for only two passengers. The pilot and the kat grinning ear to ear!! How are the turbos fed? Glad you asked!! Ever seen something like this? High speed, low drag! 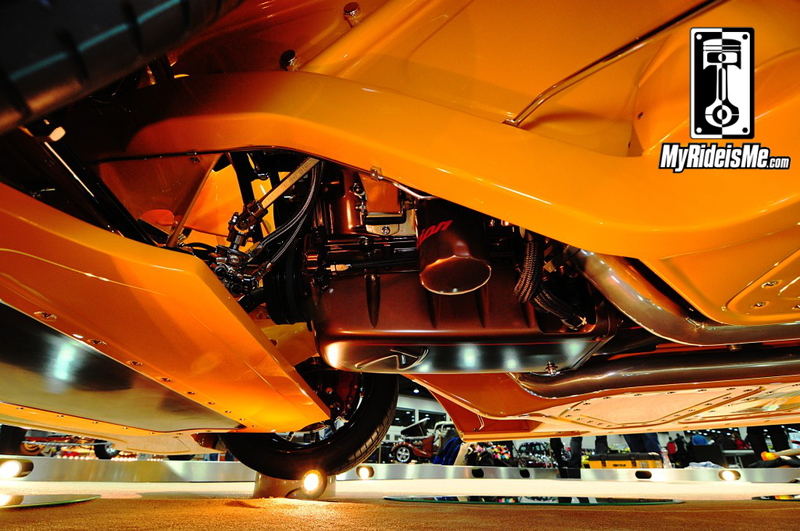 The exhaust pipes are siamesed together to form one bigger pipe to feed bother turbos equally. 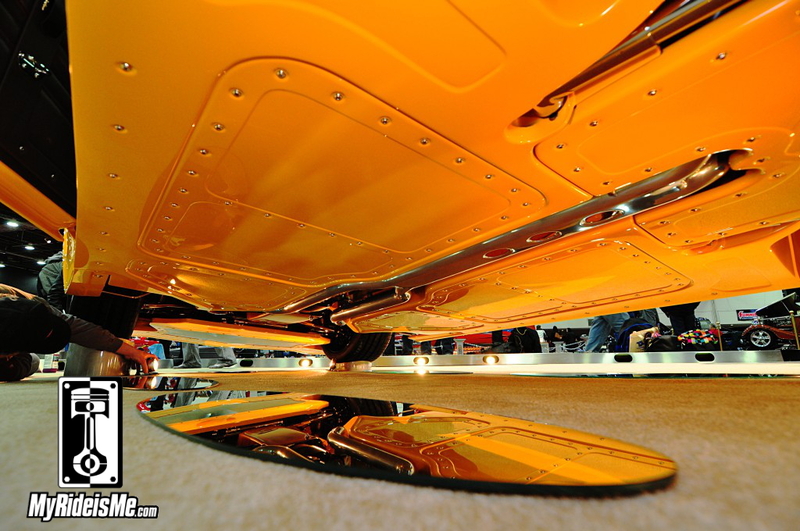 That’s the only thing you see from below, if you don’t count the tricked out oil pan (there’s a picture below) and custom-smoothed transmission. 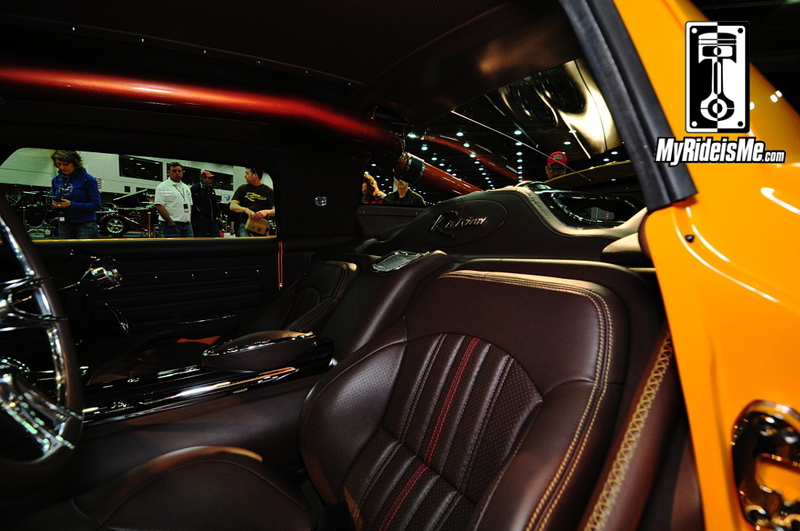 Most show cars at this level have a detailed under body, but this is unreal! 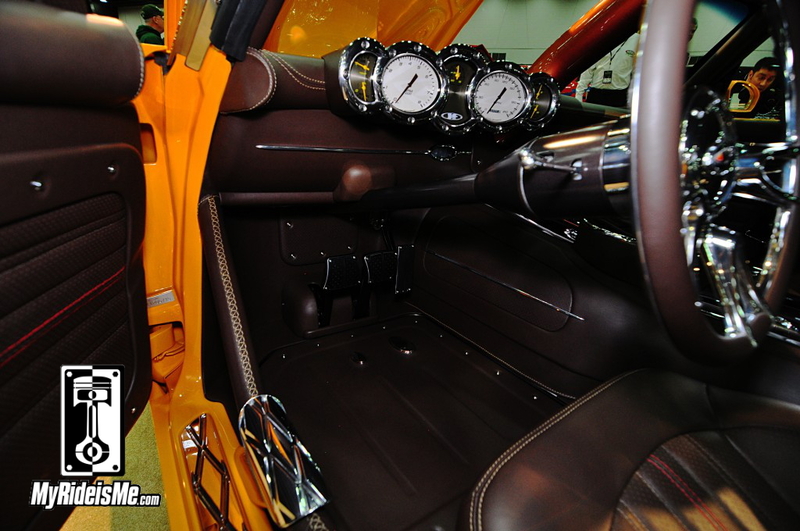 These are the shots I published with all the “Great 8” Ridler Contenders. As I said, you’re seeing that the Buick is now a two-seater, an 850 horsepower, turbo’d six speed super-muscle car, I’d say! Out back, you see the single exit for the exhaust. Click on the picture, then take a very close look at the hatch release. It’s polished stainless, but sandwiched in between is a layer of cooper. See it? That’s a theme JF and his crew used all over the car. Below there’s a picture of the door handles showing the same cooper sandwich. The door handle is completely hand made, so you might as well! It’s tiny details like this that made me sure the Riviera known as “Rivision” was the winner. 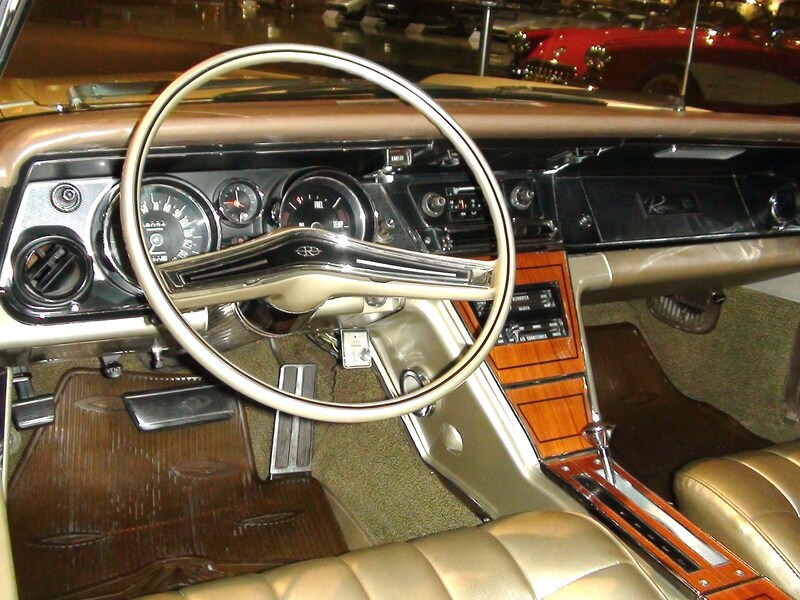 Rest assured the entire interior was scrapped for the project. For that matter, most of the body was too. The “as found” shots in the build book were pretty rough. 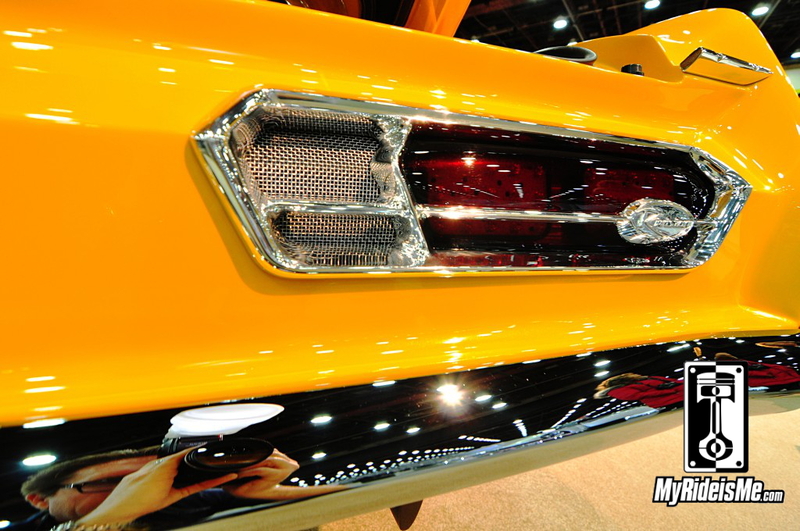 If you look at the grille on the stock Riviera, you can see cues from the original made it onto the finished car… but as you might have guessed, it ain’t stock. 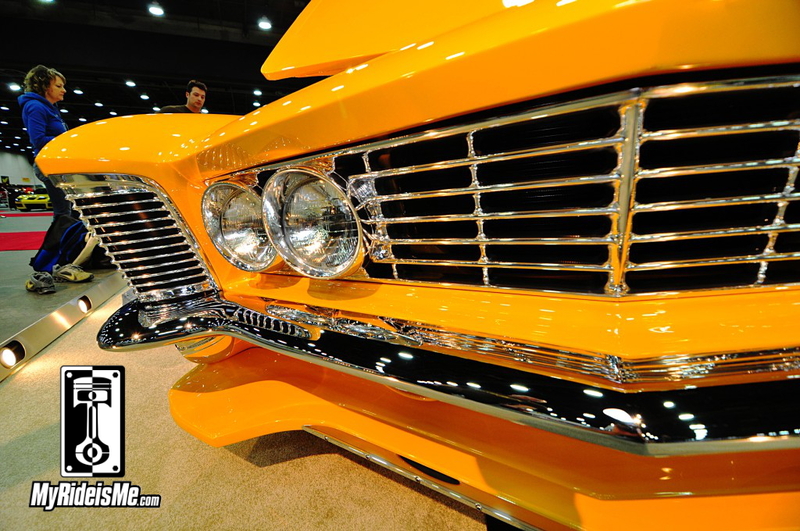 The grille, headlights and clamshells were all custom CNC’d by Mike Curtis (you remember him from American Hot Rod with Boyd Coddington) over at his shop called Curtis Speed. 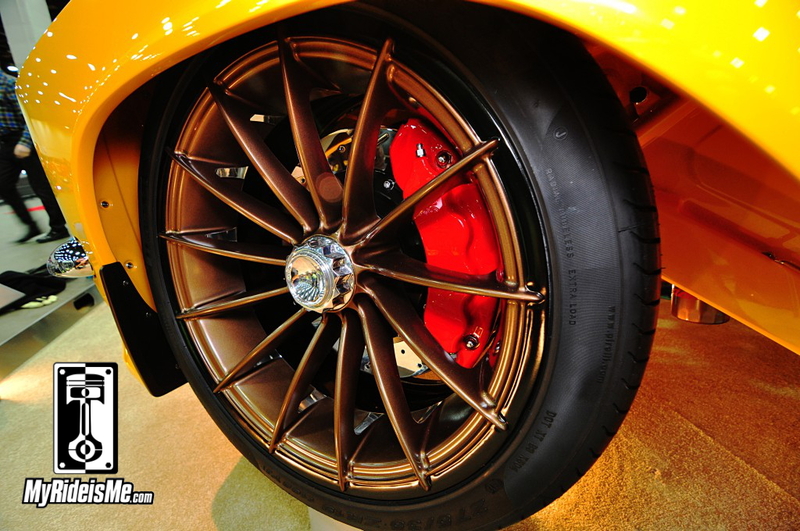 Mike also did the one-off wheels for the Riv. Then, do you recognize this? Here’s the rest of the pictures I shot up close and personal with “Rivision”. Special thanks to JF Launier and his crew for letting me “on the carpet”. If you see hands or cleaning towels in my pictures, that’s cause I was shooting during their mad rush to have the Riv look perfect for the judges. Trick underbelly of Rivision. Custom everything, including the oil pan! 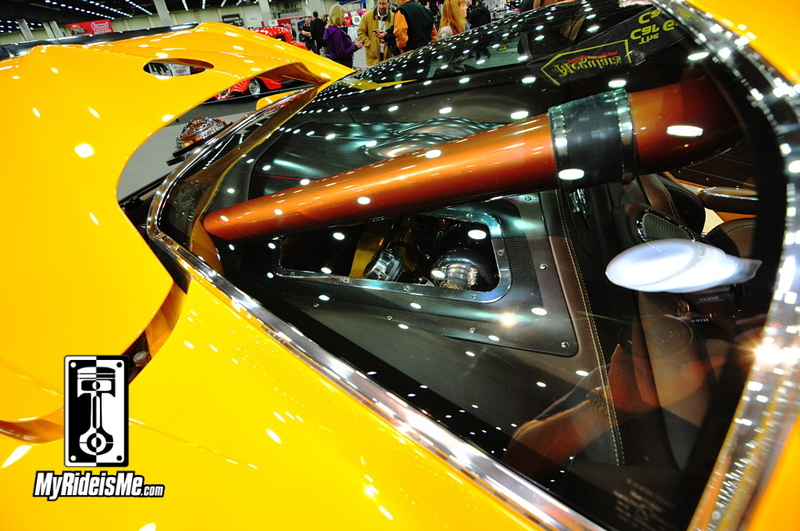 Rear diffuser for when this Ridler winner see the autocross! Yes he will drive it! This is with the “trunk” Open. Custom gas filler and a mad genius layout of turbos, waste gate and exhaust. These guys even had a trick display showing build pictures of the car and components. 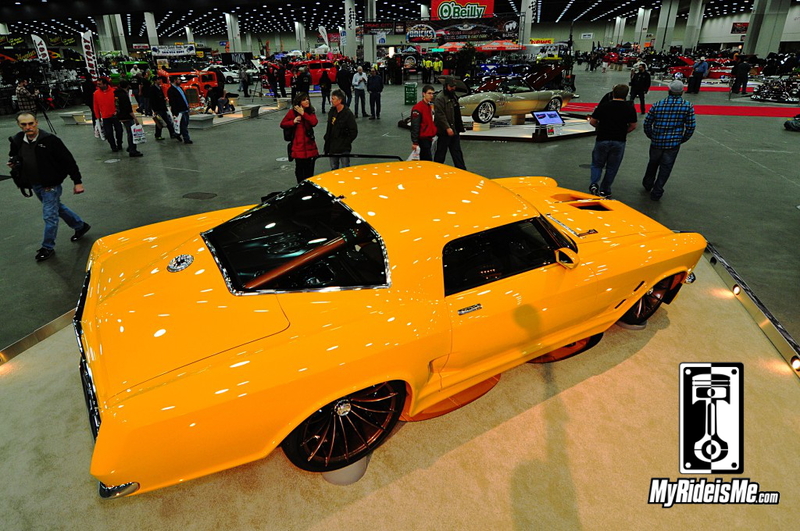 How does the 2014 Ridler Award Winner compare to past years? Awesome, Congratulations you did it, all that designing, planning, stressing over detail and of course a lot of hard work. No question, JF is talented when it comes to building cars, however I have never met a more arrogant person. Hard to be proud of that type of person. 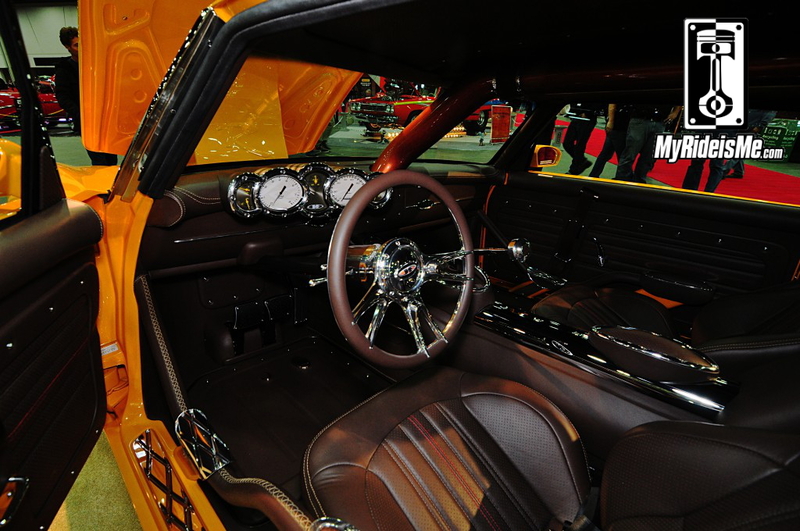 I went with 2 other guys from Youngstown, Ohio and we had 3 cars picked to win – the ’32 Ford 4-door with no posts between the doors just because 4 doors are 2 too many and never win, the ’56 Chevy which just was the cleanest, well designed one we have seen, and the Buick Riviera. It took us a while to figure out the rear turbo set-up, but liked the fact that it had a manual transmission. Great choice from The Great 8!! cannot wait until next year. I know JF personally and I have to agree with Bob Hunter But to say he is arrogant would be an understatement. Being nominated for the riddler he thought he was better than every body else but now that he’s actually won he’ll think he a GOD. Congrats to JF Customs! My brother was a part of the build team and we are so proud of this major accomplishment! What an amazing experience for an 18-year-old kid to have! You all can have your own opinions. JF is an amazing: person, boss, craftsman, painter friend, father….. How many people have the opportunity take an idea and bring it into existence. We all have dreams and goals. This determined young man achieves his goals. There are many people who supported JF through out the build and he treats everyone with respect and kindness. I’m so honored to have had the opportunity to get to know JF. I can appreciate the build quality, but it’s not a drivable car as is. The giant turbo piping down the middle of the windshield ruins it for me. Hidden in the pilars and roofline or in a chassis tunnel of it’s own would have been much cleaner looking. Neat car over all of course. I just watched this guy say that winning the Ridler means that he is the best car builder in the World on our local news. Every time I hear someone back here in BC talk about JF, it’s not about the cars, it’s about him and his ego. Come on JF, being humble is not showing weakness, give it a shot, respect will follow. How this monstrosity won is interesting. 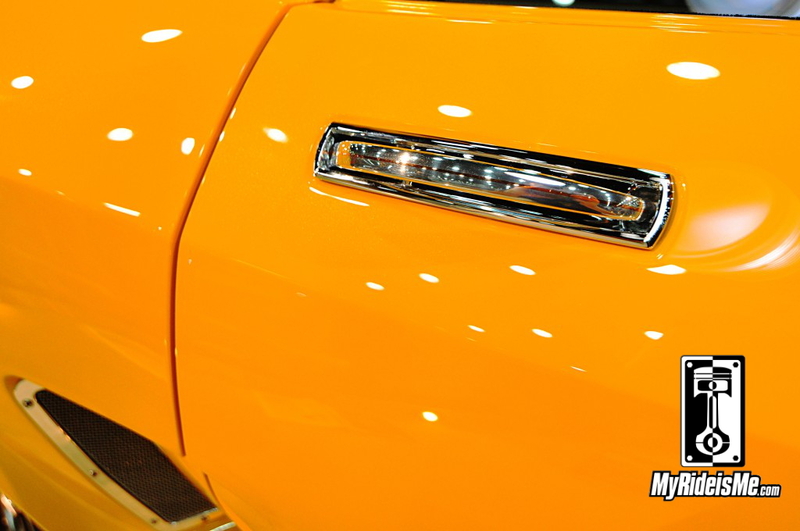 There is a distinction between well executed modifications, and what this car represents. 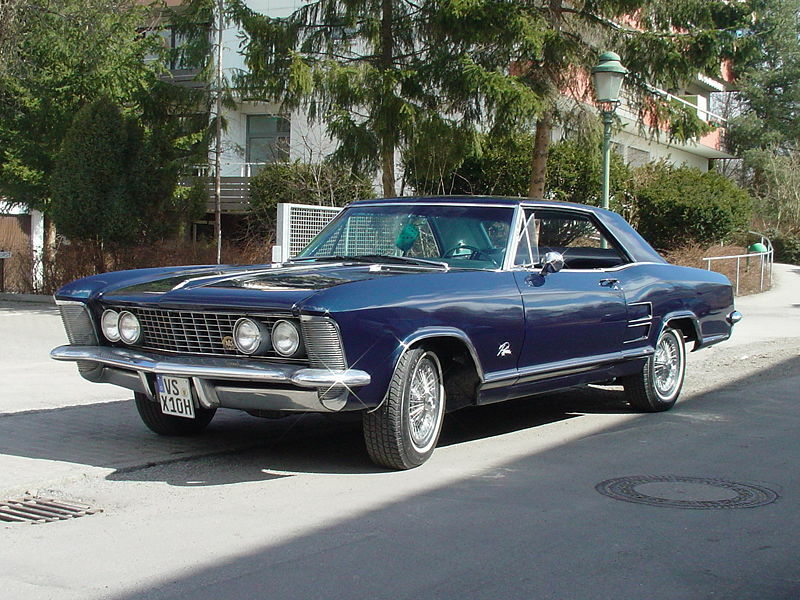 A stock Riviera represents a far more pleasing aesthetic balance. You made your point Steve, move on. To gain maximum efficiency, turbocharges are for a reason placed in closest proximity to the gases that drive them. This engine is the opposite of well-engineered as regards the turbo placement, inlet et cetera. Odd to win an award for poor engineering. Interesting whomever selects what is allowed to be posted to the thread. Factually, this award is supposed to represent superior engineering. 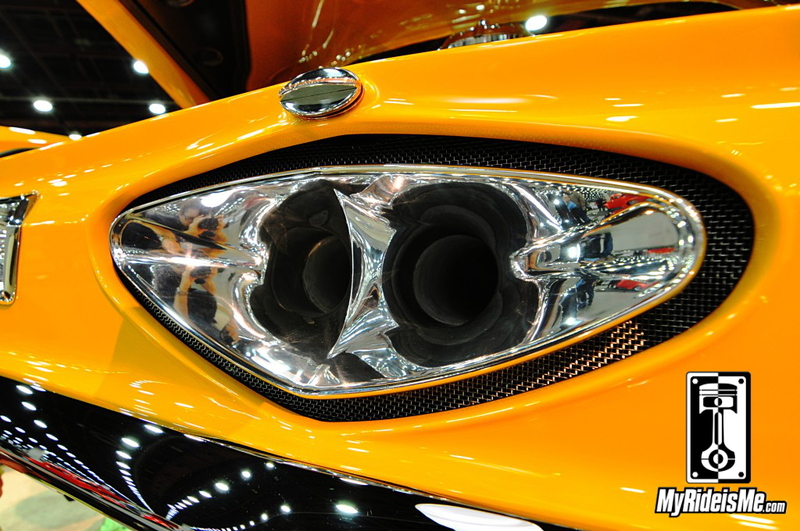 Factually, turbochargers are placed in closest proximity to the exhaust source for a very particular reason. A logical, engineering reason.